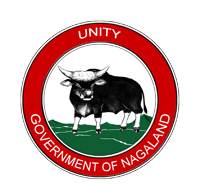 The 6th Edition of the All Nagaland Spelling Bee Competition was organised by the Directorate in association with the Fountain Club Kohima on 28th and 29th September 2017 at the Capital Convention Centre. 41 students from 21 schools of Kohima,Dimapur and Phek district participated in the competition. Vetsal Sankhro a class 9 student of Holy Cross Secondary School Dimapur emerged as the winner of the competition. 4 Quarter Finalist Rs.5000 each.